The East Germans, the Soviets and the Chinese have experienced working with these sonic weapons. If this weapon creates air cavitation, air bubbles in the blood stream going to the brain will create embolism or brain accident. US personnel in Havana have the symptoms most likely the weapon used was provided to the Cubans by the Chinese or Russians. The energy beam stopped when the employees opened the doors because the sonic waves work in empty spaces creating a pressure wave. Once the person opens a door the dueling becomes depressurized interrupting the sonic wave. Plain physics. 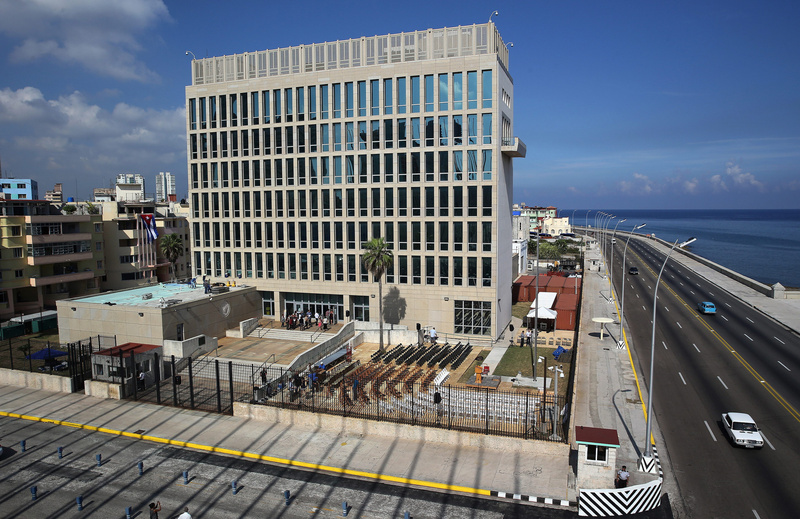 Trump is still asleep at the wheel on Cuba, not deviating from Obama’s Cuba policy. During the last two years, Trump has failed to denounce these attacks by voice or Tweeter. This is the biggest crippling attack on U.S. diplomats and intelligence agents in history and Trump has stuck his head in the sand.